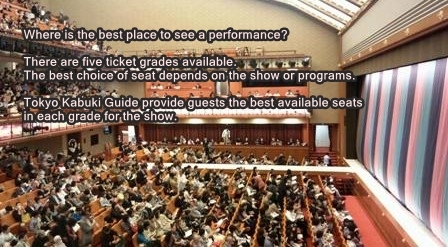 TOKYO KABUKI GUIDE is a special concierge service. 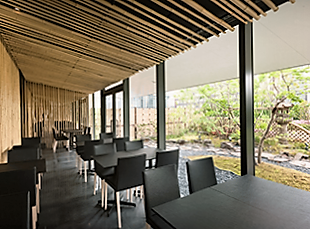 We have been providing you all the information you need to know about Kabuki in Tokyo since 2010. We operate several types of Kabuki tours to enhance your Kabuki experience. We provide advanced tickets, handouts, English summaries and a pre-performance presentation. Tours for people who buy one act tickets or visit the Kabuki-za Gallery are also available. Tailor-made tours, such as tours for a big group, students etc. are also available. Please feel free to contact us! Where and when is Kabuki performed? The National Theatre: January, March, June, July, October, November and December. 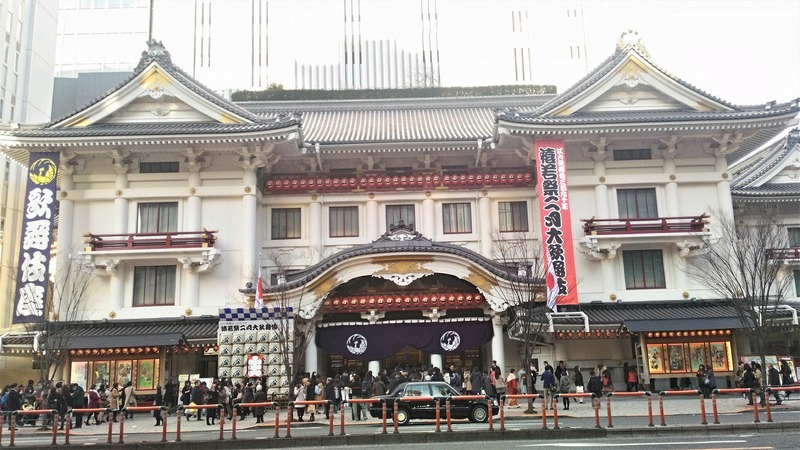 There are some theatres for Kabuki in other cities but Kabuki is rarely performed outside of Tokyo. 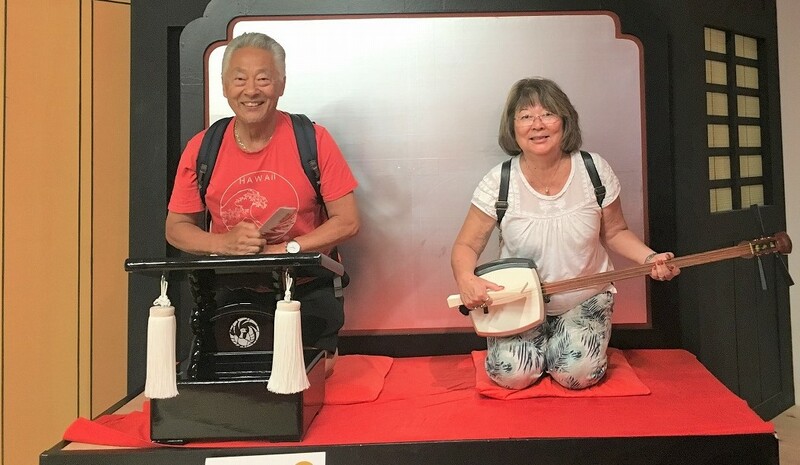 Founder Kazui Yabe, a Japanese female licensed tour guide and volunteer Japanese language teacher, has enjoyed introducing Kabuki to both Japanese and visiting friends for many years before establishing Kabuki tour guide in 2010. A note from Kazui: "I believe that with the help of some essential information about the art itself and the plays in performance, Kabuki becomes even more understandable and enjoyable. As a Japanese person, I love to help guests find points of interest to them within each performance and am passionate about sharing my knowledge and experience of Kabuki. I look forward to welcoming you to my tour!" 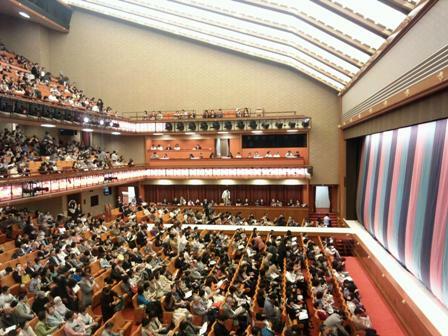 Seeing Kabuki is to see Japan’s traditional stage arts which have been established for over 400 years. The Japanese government had a seclusion policy in place for more than two hundred years, from 1639 to 1853. In this period, the administration was stabilized and a period of peace ensued bringing with the unique cultural development. Kabuki is one of the best examples of this. Kabuki, which is the most popular of the traditional Japanese stage arts, is still hugely popular in Japan. It is said that there are so many Kabuki plays in existence. However, only about 400 of these have retained their popularity over time. 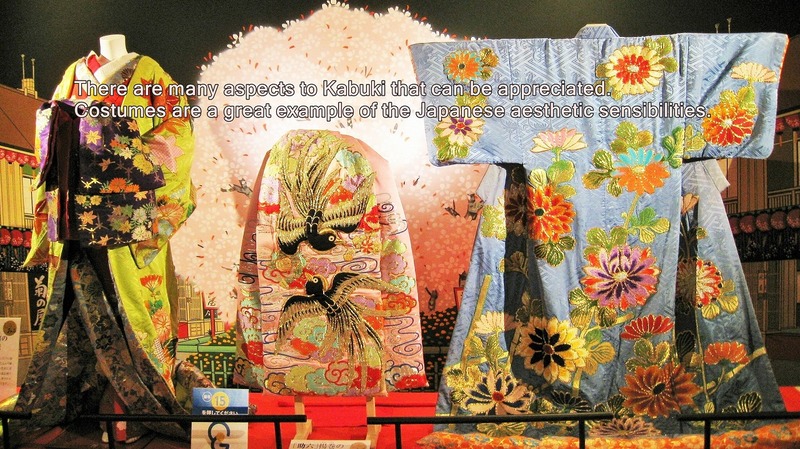 such as Noh theatre and Bunraku Puppet theatre and combined them with the Japanese sense of beauty. costumes, wigs, stage setting mechanisms etc. that can only be seen in Kabuki. 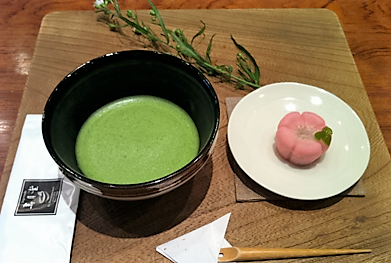 It has been said that Kabuki is the closest you can get to a true sense of Japanese aesthetic beauty. Kabuki is unpretentious, easy to enjoy and much more accessible than other traditional performance such as Noh theatres. 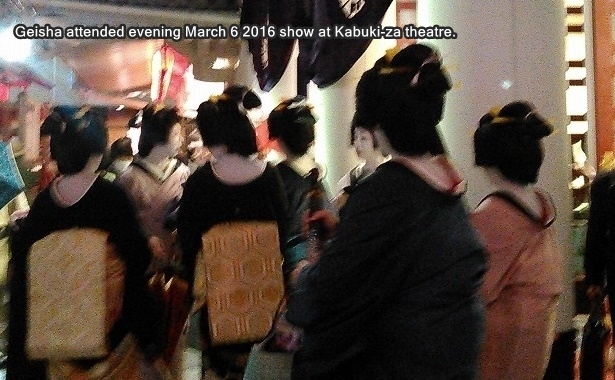 However, knowing a little background information will enhance your Kabuki experience. 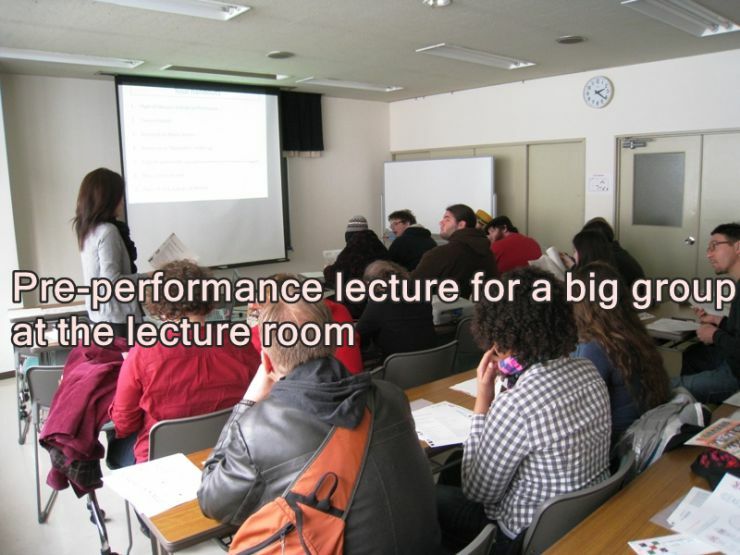 Which is why we would like to provide our guests with a pre-performance presentation. beyond couples, family, student on a group tour or anything in between. If you would like more information, we will be happy to email you programs and photographs from the show. We operate several types of Kabuki tours to enhance your Kabuki experience. We provide advanced tickets, handouts, English summaries etc. in our pre-performance presentations. Tour for people who buy one-act tickets and Kabuki-za Gallery guided tour are also available. We offer tailor-made tours, such as tours for a big group, students etc. also. Please feel free to contact us! Package Contents Ticket handling, pre-performance presentation over Japanese tea and sweets at the Japanese tea shop, handouts, English summaries, etc. 5,000 yen plus ticket fee. We like to buy our guests' tickets during presale to provide them with better seats. If you would like more information, we will be happy to email you programs and photographs from the shows. Package Contents Ticket handling, pre-performance presentation over Japanese tea and sweets at the Japanese tea shop, handouts, English summaries etc. QUESTION, BOOKING AND cOMMENT ARE WELCOME. 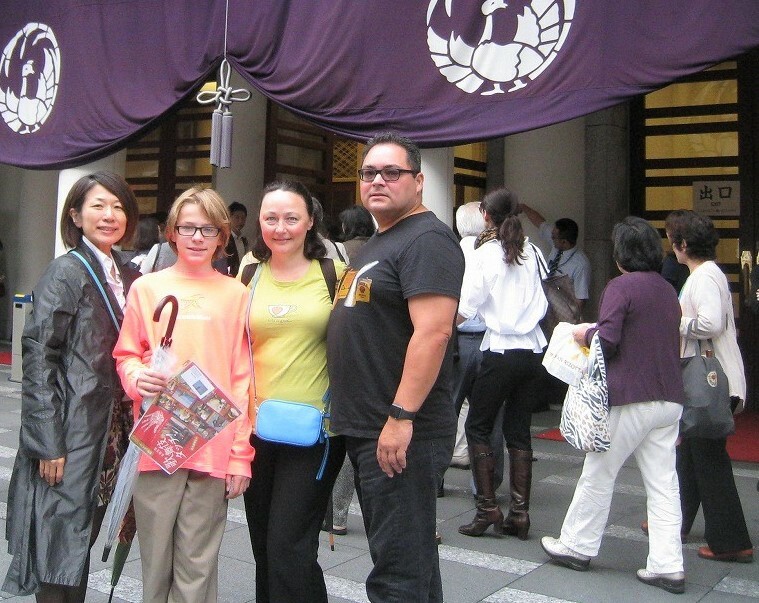 tOKYO kABUKI gUIDE lOVES TO HELP YOU TO eNJOY kABUKI!